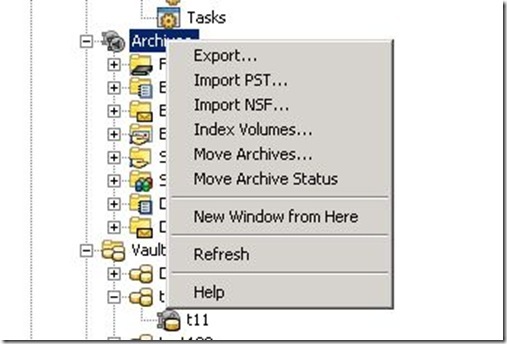 With Enterprise Vault 8 Service Pack 4, the long awaited Move Archive feature was released. There is a whole slew of information in the Administration Guide starting around page 70 which should be looked at before attempting a move, and of course you have your friendly lab environment to test on. One quick though, how do you get to it? Thanks. 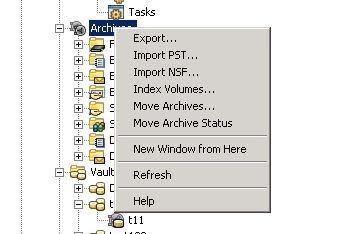 I see that move archive only does 2 jobs at one go and rest of them are queued. Is there a way we can increase the move count. I honestly do not know the answer, and I am currently on vacation until the new year. If you need to know a.s.a.p. then you should either contact Symantec Support, or post a question on the Symantec Connect forums. I will ask a colleague in the new year when I am back at work.